On April 4, 1968, James Earl Ray shot Martin Luther King at the Lorraine Motel. The nation was shocked, enraged, and saddened. As chaos erupted across the country and mourners gathered at King's funeral, investigators launched a sixty-five day search for King’s assassin that would lead them across two continents. With a blistering, cross-cutting narrative that draws on a wealth of dramatic unpublished documents, Hampton Sides, bestselling author of Ghost Soldiers, delivers a non-fiction thriller in the tradition of William Manchester's The Death of a President and Truman Capote's In Cold Blood. With Hellhound On His Trail, Sides shines a light on the largest manhunt in American history and brings it to life for all to see. 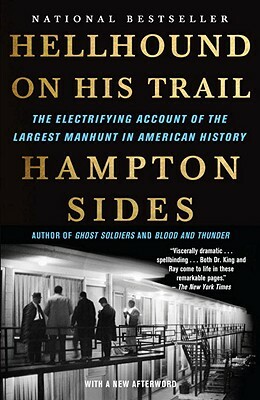 A native of Memphis, Hampton Sides is an award-winning editor of Outside and the author of the bestselling histories Blood and Thunder and Ghost Soldiers. He lives in New Mexico with his wife, Anne, and their three sons.